Last month I was wondering through Best Buy looking for “BP3” & “Man on the Moon” and ran into this random white guy as I was leaving the store. We were both waiting around for the rain to let up and being the true “socialite” that I am, I struck up a convo. Seems as though dude was a REAL hip-hop head and schooled me to artists that I didn’t even know about (for ghetto pass purposes, I refuse to name which artists). So, he asked me which CD’s I purchased and I told him. He gave me the most disgusted look from a white guy. He made his opinions on my selections and challenged me. He offered to exchange my purchases for me if I took his advice and purchased 2 others that were better quality. Yeah, I looked at him just like you are looking at me right now. Like, “what better quality do you get than Jay” is what I was thinking but I said eff it and let him do his thing. Long story short, I ended up purchasing Q-Tip’s “The Renaissance” and Mos Def’s “Ecstatic” and I am SSSOOOOO glad that I went back because they have two of my most brilliant purchases all year. 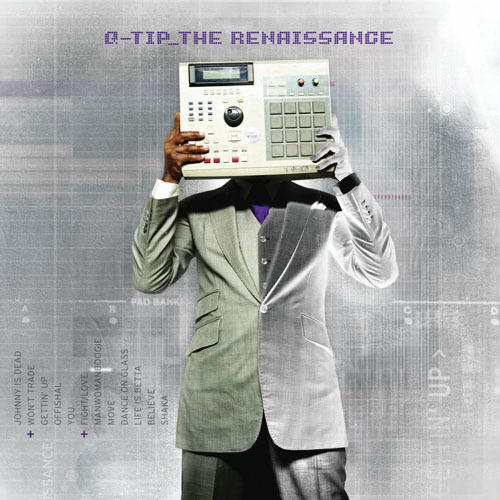 Hand’s down, Q-Tip did his TING on “The Renaissance”. It is easily one of the most underrated and underexposed albums of the year. With singles like “Move” and “Getting Up” getting national play, songs like “Life is Better”, “You”, and “ManWomanBoogie” featuring our very own Amanda Diva, I felt privileged that others didn’t know about his hidden jewel. Here is a flick for “Life is Better” featuring Norah Jones. If I ever get hitched, this is the 1st dance tune. GOTTA KEEP IT HIP-HOP!